Cycling circuit from Bucharest (Baneasa) to Snagov, the path being opened by "First Escape". Open / usable almost all year. Each year in May on this route is organized the largest and most important meeting and circuit from Romania. Snagov Foundation offers you the audio-guide of the First Escape route, including visual and audio information. The race runs from Bucharest to Snagov, through woodland and country roads, and is approximately 55 km long. The whole route is marked along the way. There are 3 refreshment stations, 12 checkpoints, one starting point and one finishing point. The route is cleared and marked throughout the year, so that it can be used for training and trips at any time of year and, last but not least, there is a less publicized ecological side to this event. 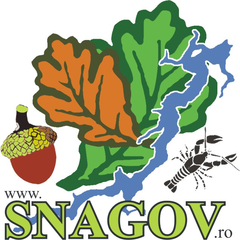 The contest is organized by NoMad Multisport, and this audio-guide is offered by the Snagov Foundation (Fundația Snagov). For all the requirements, please read the guidelines and advice found on the site. We will provide more details as the day of the competition approaches.